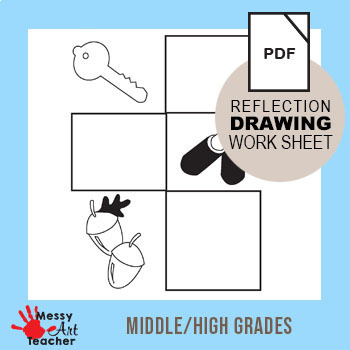 This worksheet is for student to hone their drawing skills and get them to look at an object in terms of lines and shapes and draw the mirror image of it. 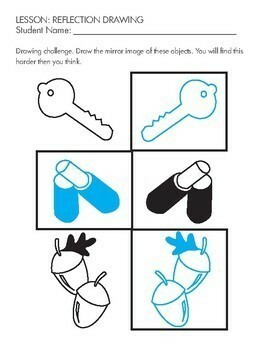 Three objects are on the worksheet: key, lipstick, and acorns. 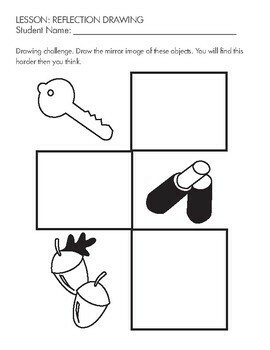 The worksheet can be used as an enrichment for early finishers or for students that want to improve their drawing and observation skills. Answer key is included. 2 pages total. 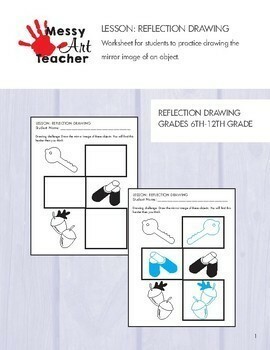 Here is a link to my Reflection Drawing Worksheet 1.